In 2000, the BBC reported Crayola brand crayons contained “trace” amounts of asbestos. In a simulation of a child vigorously colouring using a crayon for half an hour, no fibres were released into the air. Because they are embedded in wax, even if swallowed, they would pass through the child’s body. However, the experts concluded it was still undesireable for the fibres to be in the children’s crayons into the long term. Clearly crayons do not need to be fire or heat resistance. Asbestos found in crayons is not put there intentionally. 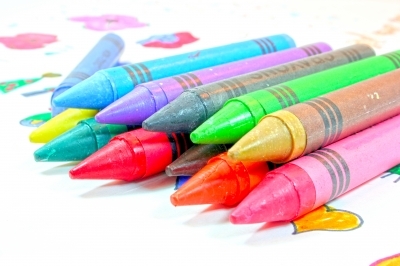 Asbestos contamination comes from talc used in the crayons. The talc contains naturally occurring asbestos. After asbestos was discovered in crayons 15 years ago, US manufacturers voluntarily agreed to remove talc from crayon ingredients. 4)http://www.cancer.gov/about-cancer/causes-prevention/risk/substances/asbestos/asbestos-fact-sheet But what about crayons manufactured overseas? The EWG Action Fund tested four crayon brands positively for asbestos (two crime scene fingerprint kids tested positively as well). Any amount of asbestos in children’s products is unacceptable. Health risks must outweigh profits. Always purchase children’s products from companies you trust. « Did you know cotton is one of the top 3 pesticide-laden crops in the world?